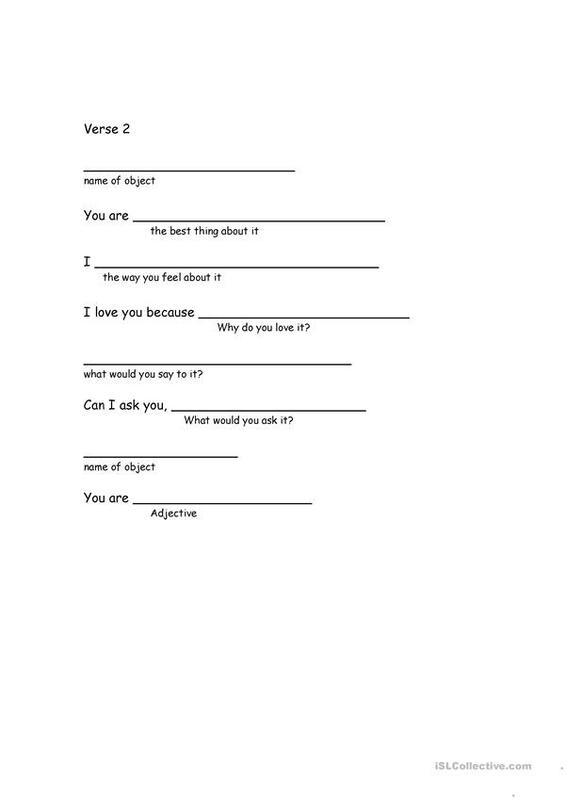 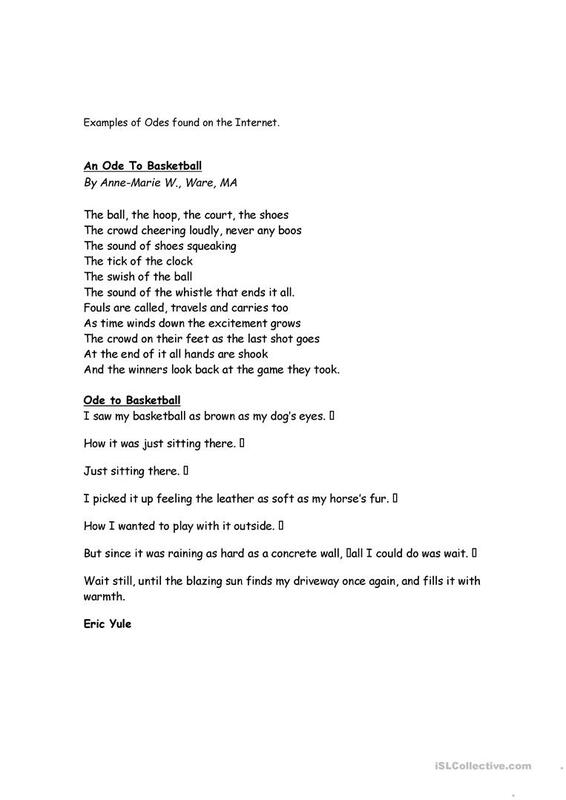 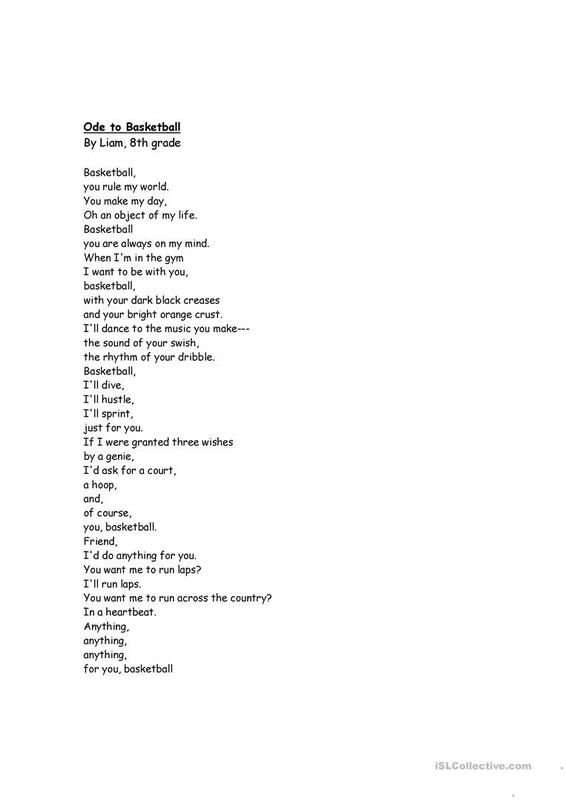 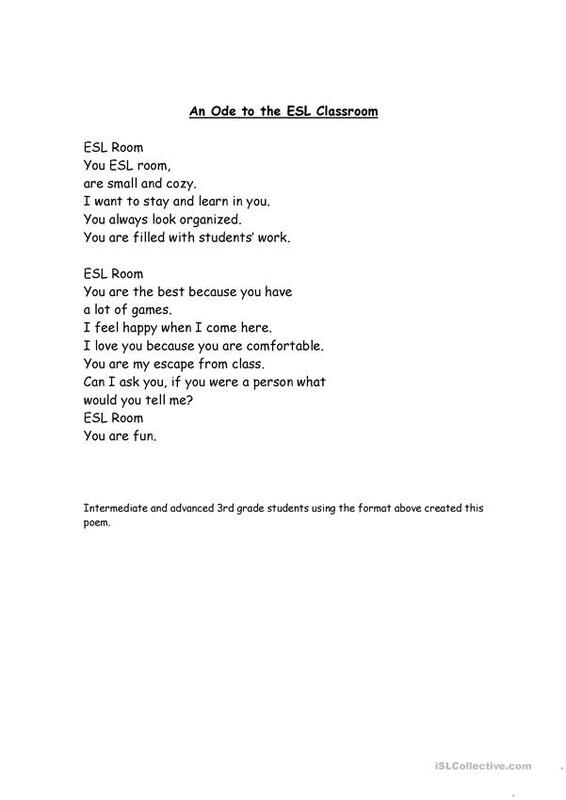 Students write an ode/poem about an object they love. 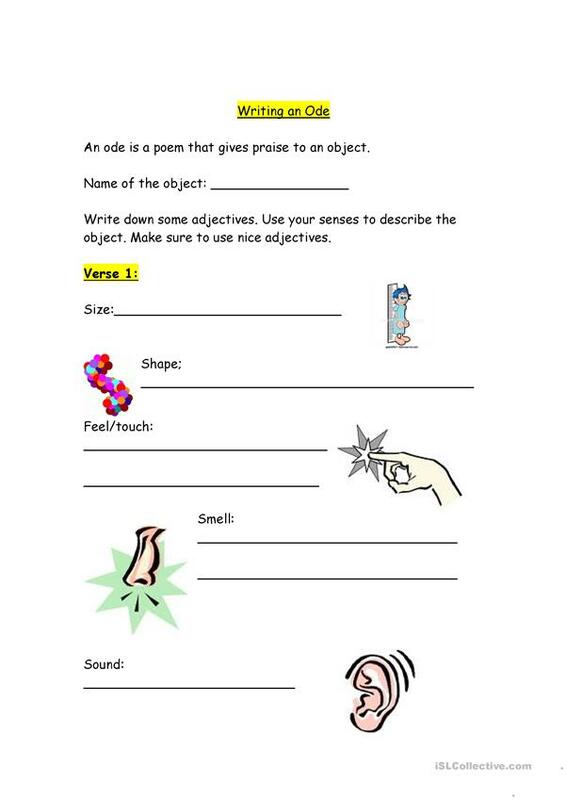 They will use adjectives using their senses, metaphors, similes, personification and alliteration. 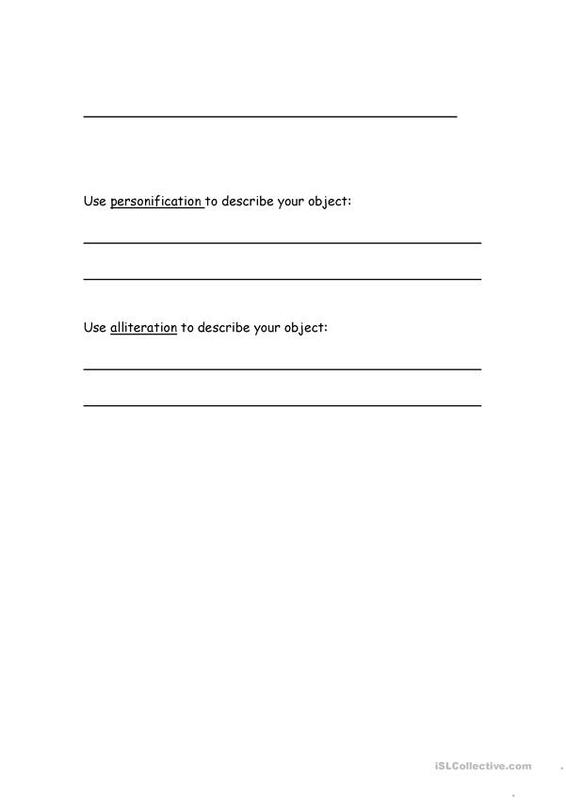 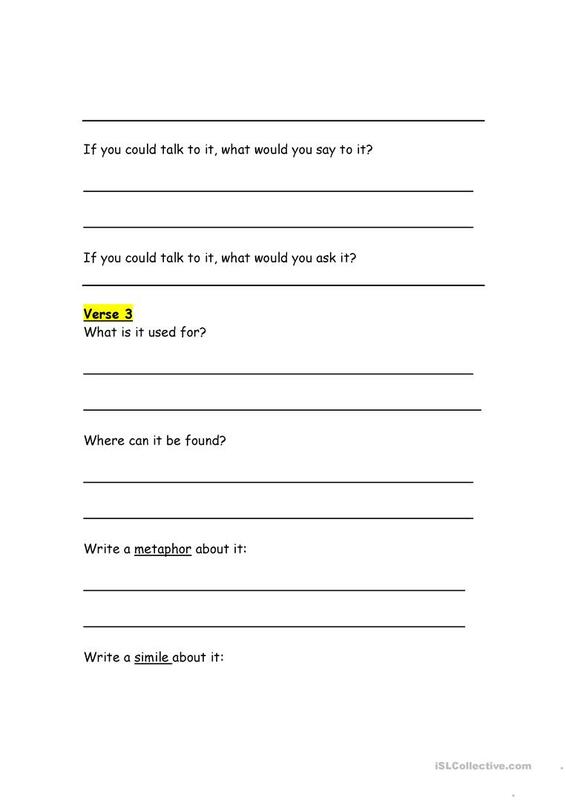 This activity is designed for beginning, intermediate and advanced students. 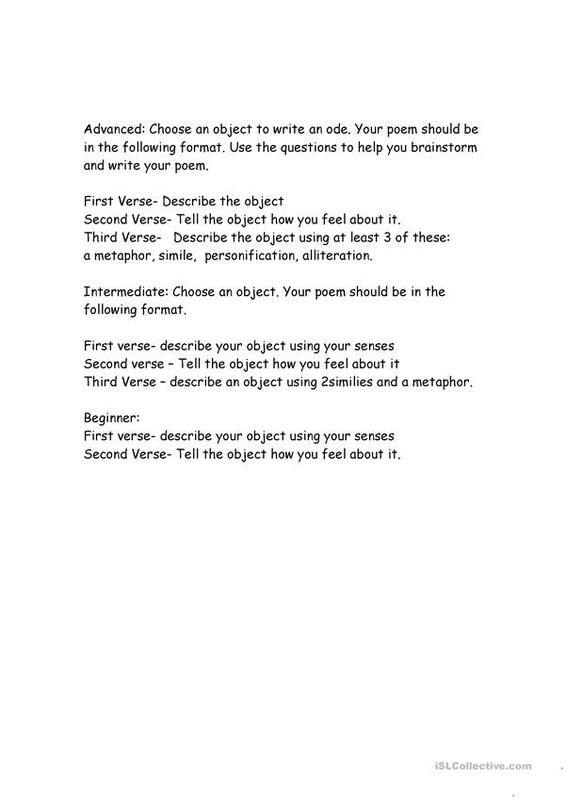 The above printable, downloadable handout is best suited for high school students and elementary school students at Pre-intermediate (A2) and Advanced (C1) level. 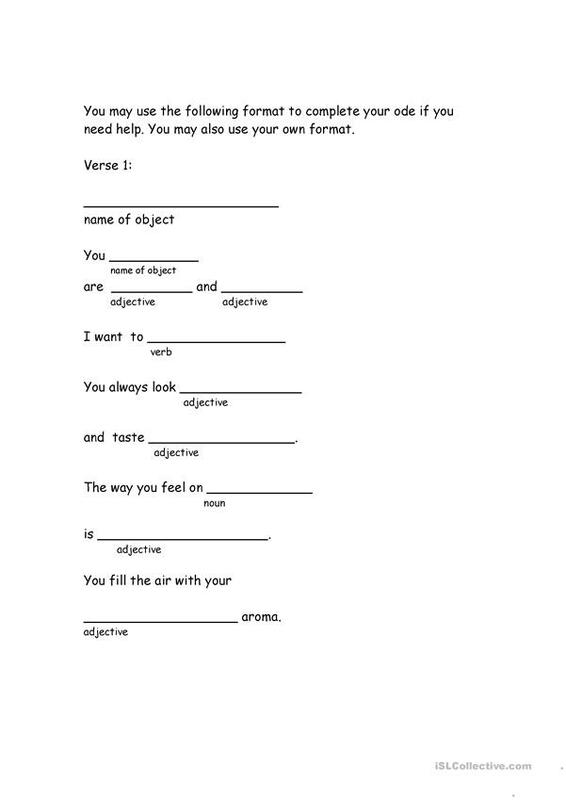 It is aimed at teaching Adjectives in English, and is useful for developing your learners' Reading and Writing skills.